What are business videos and why should we make one? Today, business videos step up to fill the marketing gap left by media advertising and newspapers. As the internet continues to grow, marketer and customer interaction can happen in numerous ways and one of the best ways to get recognition is through business videos. So what are business videos and why should I make one? Business videos are videos specifically made to demonstrate any product or brand which a company wants to market. Videos can help a customer understand the product’s features and benefits and they are powerful because a lot of information can be delivered in a short clip. This short clip has a wide reach as it can be used on multiple channels online and offline and via mobile. Business videos engage the audience which is the key to marketing today; after all a product demo on YouTube is easy to find watch and share and you just don’t get this with the traditional marketing methods. What are sales funnels and why are they important? 1) The upper level which should be high level ideas and content designed to make potential leads complete an action rather than buy. 2) The Mid-level where your content is more in-depth allowing you to better qualify your original leads. 3) The lower level; this content should help you close the sale with your now pre-qualified buyers. 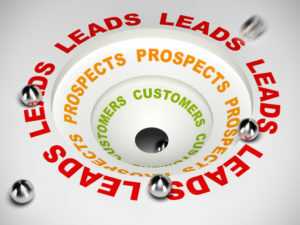 A good sales funnel can help turn more leads into customers and then retain them. 1) Firstly the actual money comes from the lower level of sales funnel so business videos are particularly effective at targeting the lower level of sales funnels. 2) Try to keep business videos targeting the upper levels of the sales funnel brief; you want your potential lead to want to know more and have to continue through the funnel to find more. 3) Strategy is important; so try to come up with a good plan of how you will use video in your sales funnel before you start. Business videos are an engaging way of interacting with your audience and can provide you with massive social proof due to the viral nature of being able to share videos online; they are the perfect promotional tool in today’s market. For your business video, call Penrose Productions at (650) 969-8273. We’re the experts in business videos.